Madrid is a city of summer showers and unpredictable autumns and springs, a place to have an umbrella at hand at all times. Having rain falling on our perfect weekend getaway is not a nice thing, so I put together a small list of things to do in Madrid when it’s pouring. 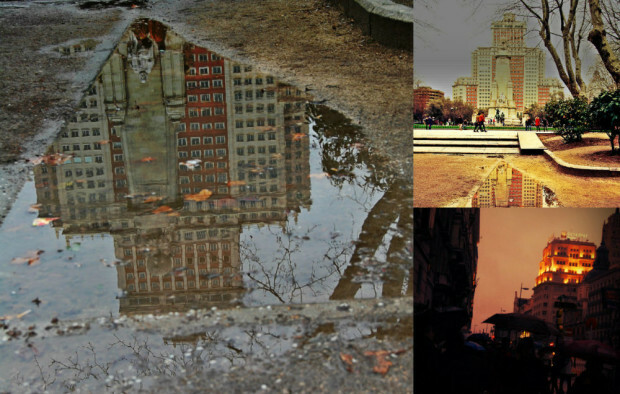 In Madrid there’s always something fun to do, so don’t let it rain on your parade! Where: Chocolatería San Ginés (Pasadizo de San Ginés, 5. Metro Sol or Ópera). What: There’s nothing like start the day with an energy boost. This chocolateria is known as the official House of Churros, the Spanish fried-dough pastry snack usually served as breakfast. San Ginés is located near Palacio Real and it’s the place to go for a hot cup of chocolate and savory churros. The place is so popular that, in 2010, it opened a branch in Tokyo. How much: Breakfast at San Ginés is around €5 per person. Where: Paseo del Prado (Metro Banco de España or Atocha). What: With or without rain, it’s one of Madrid’s top atractions. However, there’s no better excuse than bad weather to seek refuge among History’s greatest works of art, and that is exactly what we’ll see if we decide to visit Madrid’s “big three museums”, namely Museo del Prado, Thyssen-Bornemisza and Museo Nacional Centro de Arte Reina Sofía, where you can enjoy the best of Velázquez, Goya, Dalí, Picasso, Rembrant, Warhol, Bacon or Van Gogh, among many others. What: Usually the most important theaters in town offer morning plays for children. After stuffing them with churros, do not hesitate to go have fun with them, specially if they like the circus and clowns. When: Morning sessions, check schedules. How much: around €15 depending on the play. What: Madrid is a city that has grown with the times and has adapted their old markets to offer a wider range of products and experiences. This new generation of markets has replaced the classic stalls for new gourmet-like establishments that cater for the Madrileño foodies. How much: From €3-€4 for a beer and a tapa. What: Madrid is famous around Spain because of its coffee tradition. Many of the old cafeterias around town are over a century old and some mantain their 19th Century charm. Nothing like a caffeine boost on a rainy day. How much: A caffè latte costs around €2. Where: La Casa Encendida (Ronda de Valencia, 2 – Metro Lavapiés). When: 10:00 a.m. to 10:00 p.m.
What: If what you’re looking for is a bit of indie culture, there’s nothing better than to seek refuge from the storm inside one of the finest modern culture centers in town. Expositions, cinema, music and conferences are one of the best ways to forget about the gray sky. How much: Access to expos and conferences is free. 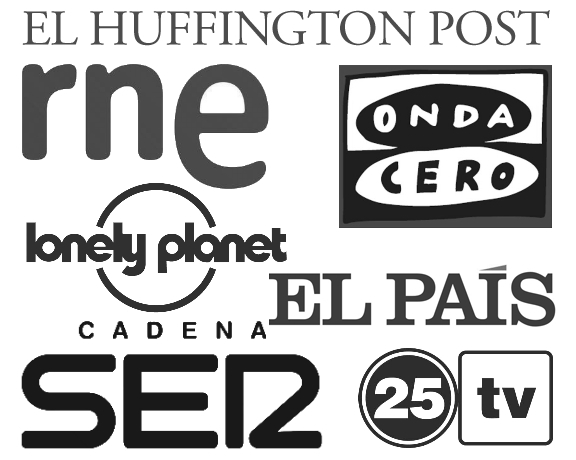 Concerts and cinema from €4. What: In order to indulge your shopping addiction without getting your credit card wet, Madrid has a wide range of shopping centers and malls that cater to all tastes and budgets, from classic (and low-end) Centro Comercial Prícicipe Pío to the more premium Centro Comercial Moda Shopping or ABC Serrano. When: 09:00 p.m. to 11:00 p.m.
What: Say goodbye to a wet day listening to a melancholic sax. For the past 30 years, Café Central has been offering jazzy night-shows that are a showcase of the finest local and international artists. One of the best things about Café Central is that you can also have dinner while listening to the concert, so there you go, Ally McBeal. You are right. Spaniards are somewhat different to Northern Europeans when it comes to rain though. In London, for example, you would carry on like nothing’s happening. But in Madrid or Barcelona sometimes even the metro or cercanías trains stop working when there’s a drizzle!